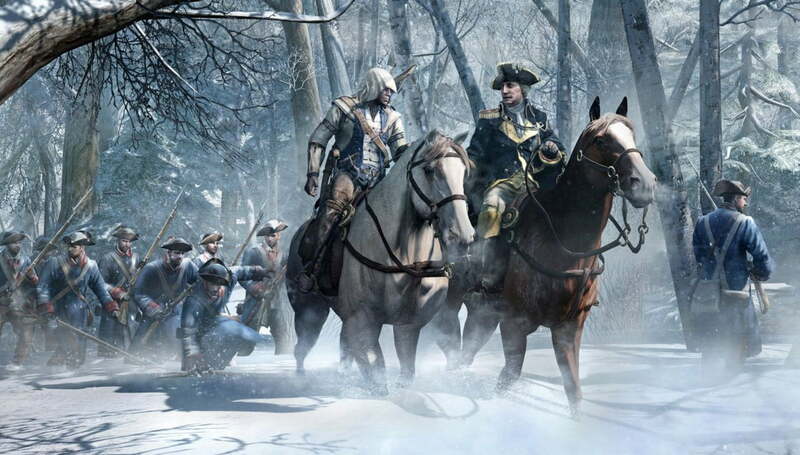 Assassin’s Creed III hit store shelves on October 30. As you can see from our review the game is quite good, and between its objective quality and the novel Revolutionary setting, the Xbox 360, PlayStation 3, Wii U and PC title has attracted a huge number of veteran fans of the franchise as well as those new to the series. As a result it’s been selling like historically inaccurate hotcakes, and this morning Ubisoft issued a giddy announcement claiming that the game has sold over seven million copies to date. The rest of Ubisoft’s missive serves to promote the game’s upcoming alternate history DLC pack, titled “The Tyranny of King Washington.” We initially reported on this add-on at the beginning of October, and as we mentioned at the time it focuses on what might have happened to the nascent American colonies following the Revolution if our first president, George Washington, opted to take on the role of America’s king, instead of its democratically-elected lead official. It’s a neat thought exercise that historians have been mulling over for centuries, yet as far as we know this is the first time it has been presented in video game form, offering players the chance to explore the world in full and, presumably, stab a number of important historical figures in their polygonal throats. Though still lacking a solid release date, The Tyranny of King Washington will be released as three separate downloadable single-player campaigns. Each will be minuscule in comparison to the single-player campaign that shipped with Assassin’s Creed III, but when taken as a whole they serve as a relatively lengthy side story that effectively continues the tale presented in the initial release of the game (though the direction it takes is far less historically accurate than the events of Assassin’s Creed III). If you’re interested in exploring the effects a despotic George Washington might’ve had on our newborn country you can purchase each of the three episodes piecemeal, though you will be able to save a bit of cash by picking up the Assassin’s Creed III Season Pass. At $30, it includes all of the DLC announced for the game to date, as well as new maps and characters for the game’s online multiplayer modes.